Crucial game in France, which could settle Everton’s fate in Group H. Everton will take a point which will cement their position moving forward. Everton produced a confident display against Villa, and I expect them to take their positive form into this fixture. Lille have been inconsistent all season, similar to Everton, but home advantage will play a big part and it will be interesting to see how an inexperienced Everton side will cope. I think it will be difficult to back either side till the line ups are out, as Martinez might be tempted to rest certain stars ahead of their clash with Burnley. Score-draw expected which will suit Everton. 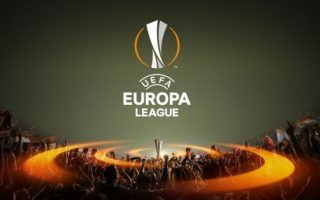 The Europa League is a tricky competition as managers are often sceptical over using their best eleven, due to the importance of the domestic campaign. However, what baffles me is that Spurs seem to have no urgency to qualify from Group C. My main aim would be to get out of the group as quickly as possible, to limit the exposure to their key players. There is no doubting that Tottenham should win almost all of their games, and have been disappointing so far. Asteras Tripolis, the group leaders, will go to White Hart Lane energised and raring to go. This will cause problems should Pocchettino’s men decide to take this game lightly. However, I believe that the Greek side will find it hard on their travels, and predicting a solid, confidence boosting win for Spurs.